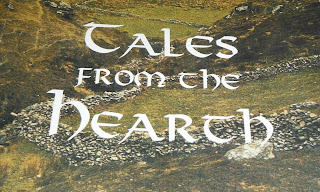 "Supernatural legend and folklore of Ireland"
Even today, ancient forces stride across the mythical Irish landscape . . . In Ireland, the supernatural is usually never far away. It lies sleeping beneath a seemingly peaceful and beautiful landscape, just beyond our vision but ready to emerge when we least expect it or when we inadvertently stir it to life. Tonight you will be drawn into this mysterious otherworld, a world of fairies, ghosts, and sheehogues.